Fancy yourself as a bit of an explorer? Have you been on more holiday's than you've had hot dinners? Then you can't just show off where you've been by sticking pins in a world map. You need something that's just as exciting as the adventures you've been on. So with that being said, I would like to introduce you, to the World Scratch Map! 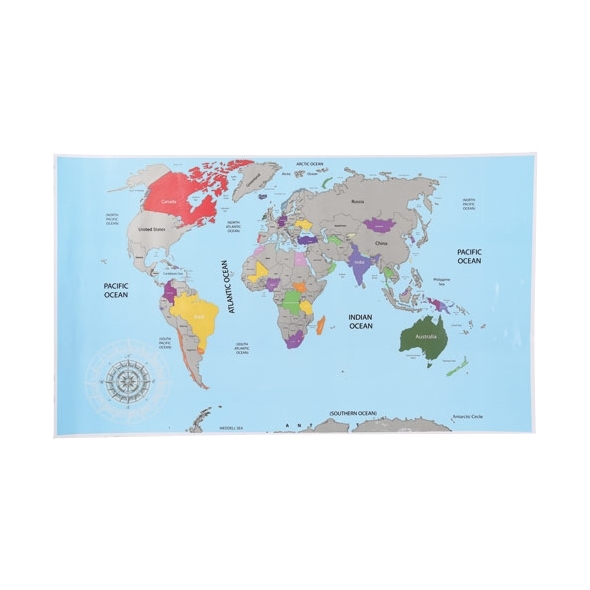 This clever wall map, depicts the world in all it's continent covered glory. I bet you're wondering "what makes it different from any other map?" 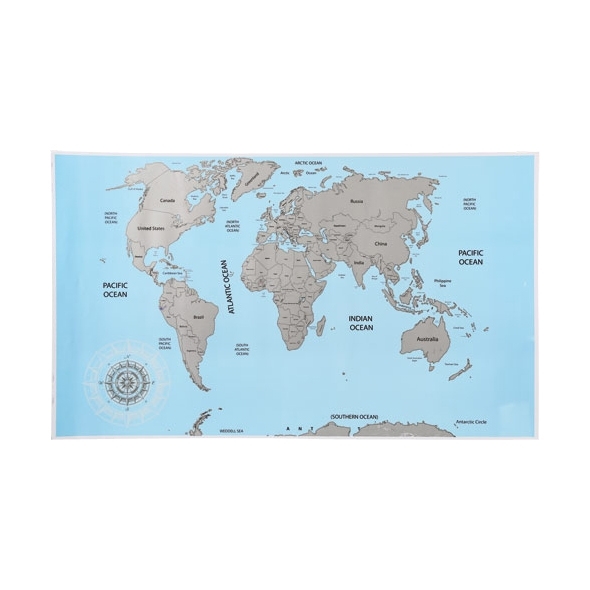 Well here's the clever bit: each bit of land you see is covered in silver foil, that can be scratched off to reveal the country you've visited. 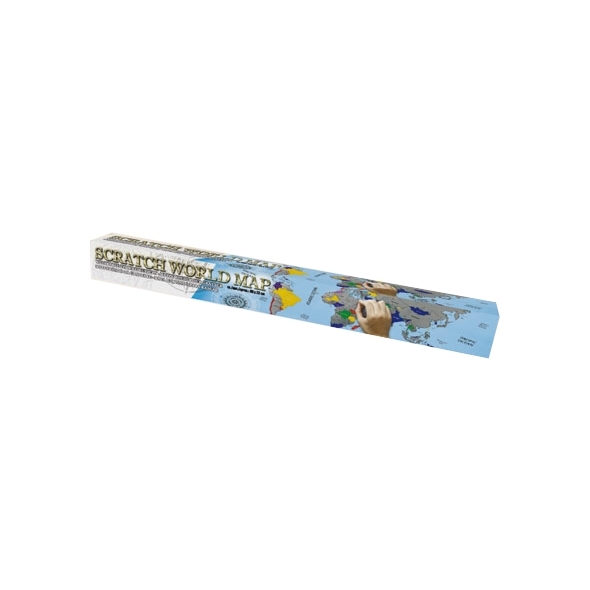 So get get scratching and watch the number of countries you've visited get bigger and bigger. Don't worry if you're not as well travelled as christopher columbus. The thought of scratching off as many countries as you can is great motivation to pack your suitcase and discover the world. But just make sure you have a great story of how you lived with penguins for a week and met happy feet, if you scratch off antartica by accident or you'll just look like a lying fool. Happy travels!